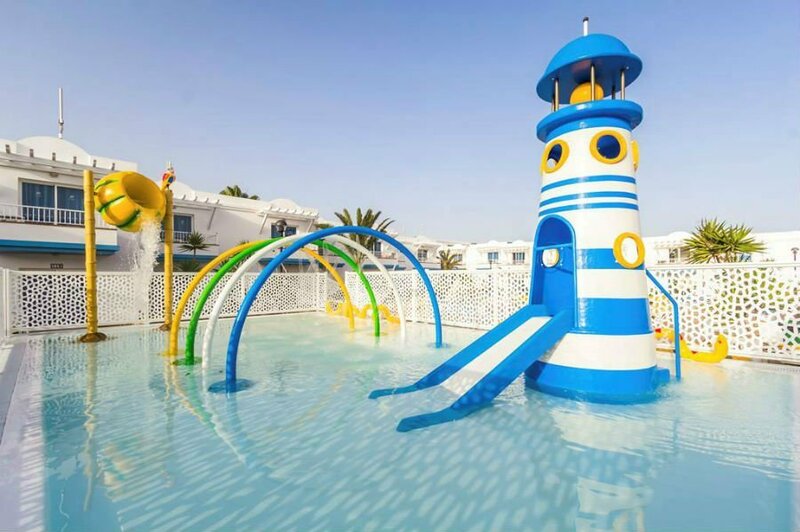 A guide to the best baby and toddler friendly hotels, villas and aparthotels in Fuerteventura including hotels with splash parks, on the beach and near to water parks. 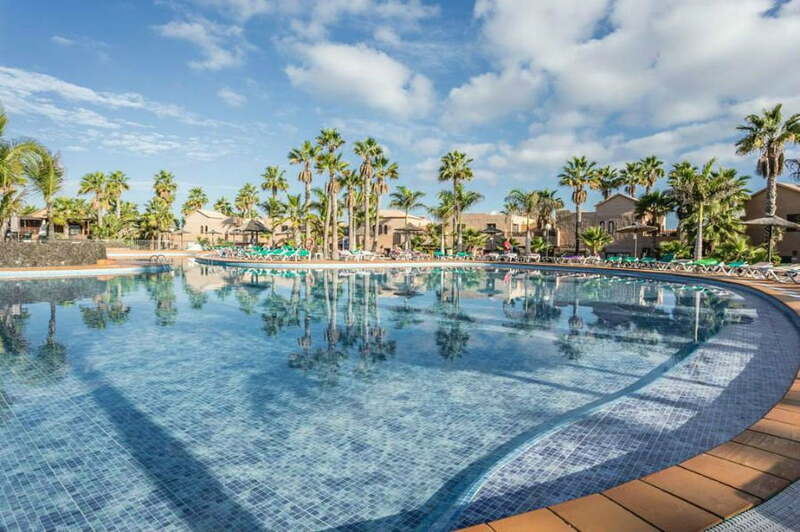 Discover the best places to stay with babies and toddlers in Fuerteventura in the Canary Islands. 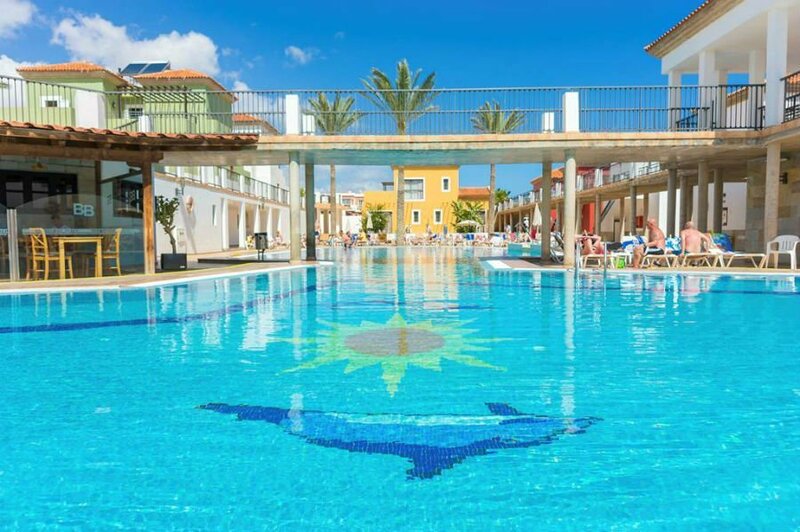 The Oasis Duna Aparthotel is a good 3* aparthotel close to the centre of Correlejo with excellent facilities for babies and toddlers. These include a baby pool, swimming pool with waterslides and a playground. 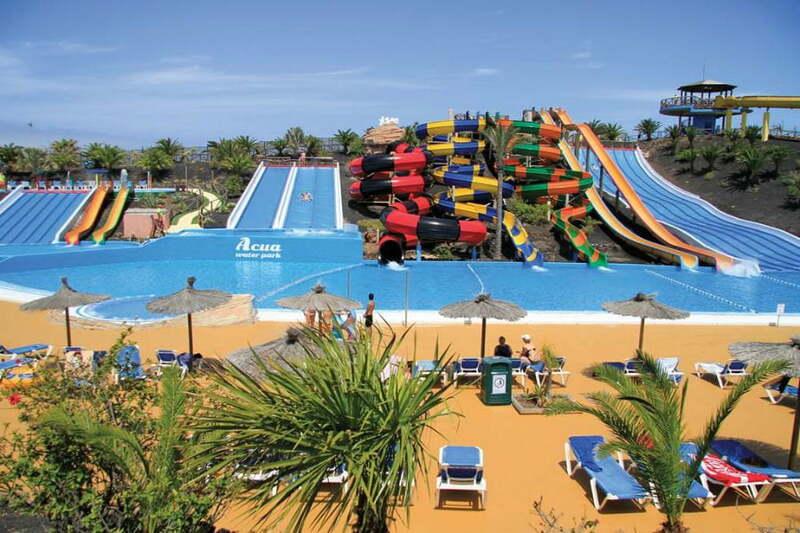 The aparthotel is a 5 minute walk to a water park, and a 15 minute walk to the beach. 2 bedroom apartments are available with basic kitchenette facilities, air con and flat screen TVs. They are basic but are clean and comfortable. Half board is available. 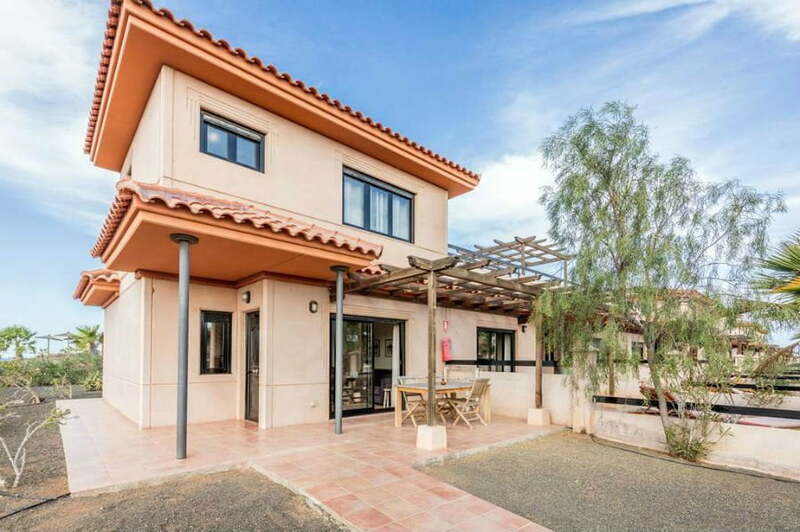 Good For – Families looking for somewhere to stay in Fuerteventura which isn’t too expensive. 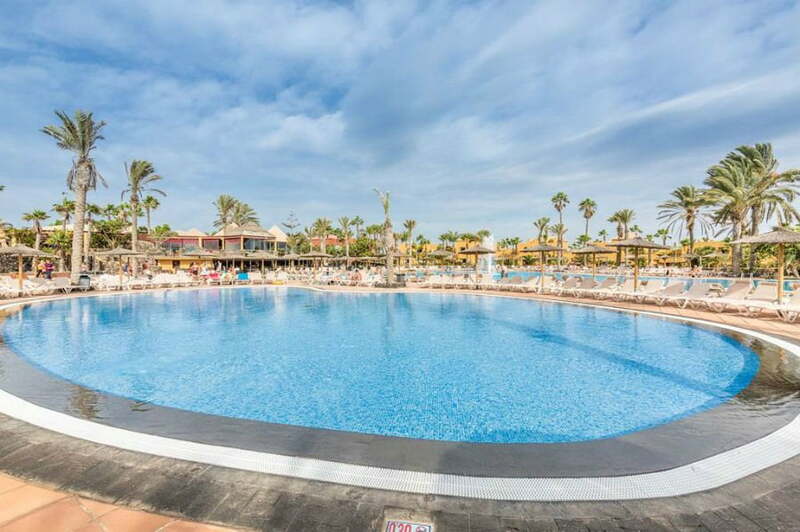 The Barcelo Castillo Beach Resort is a beachfront Canarian village style resort next to the marina, and only 10 minutes from the airport. 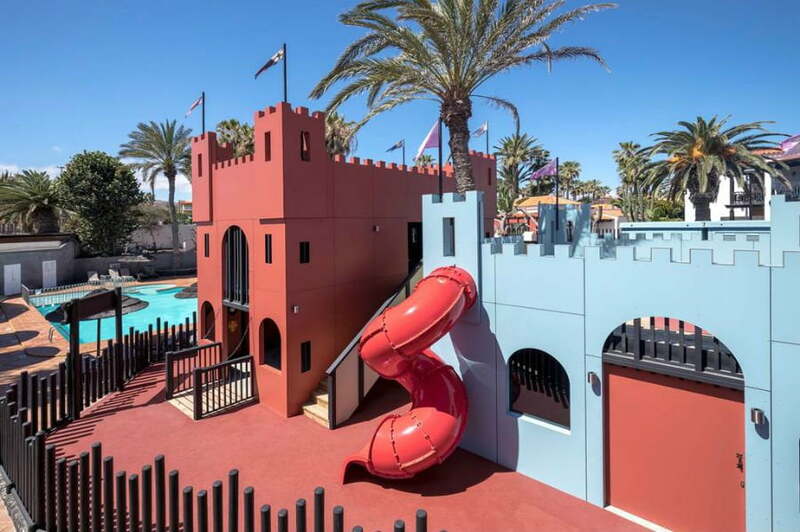 There is a brand new Pirate and Princess complex with a fantastic little splash pool as well as a Kids Pool and a little playground. Accommodation is in bungalows which have kitchenette facilities and air con. WIFI and English TV channels are available. 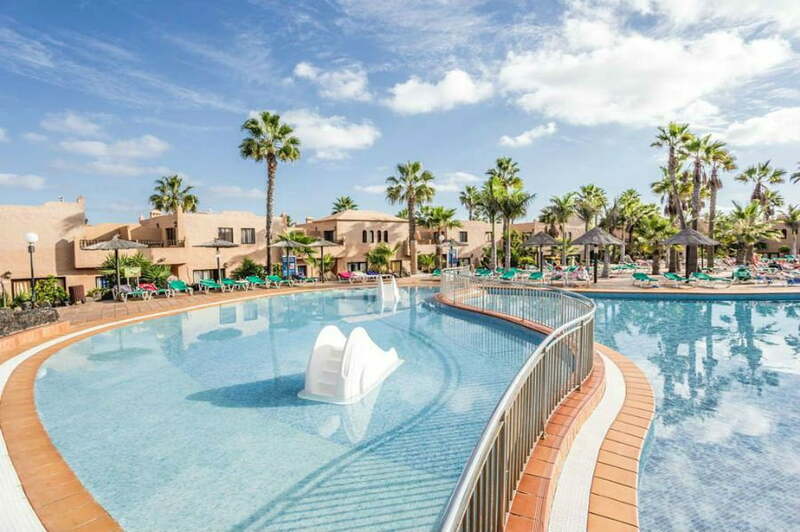 There are great sports facilities at the Barcelo Castillo Beach Resort which includes pedalo hire, mini golf and table tennis. Evening entertainment including professional shows and a mini disco is also available. Good For – Families looking for a hotel close to the beach with a short transfer time. This resort is a little out of the way, but has top notch facilities for the whole family so you definitely won’t get bored! There are 11 outdoor swimming pools including a waterpark with a wave pool and separate children’s pool. Parents who like to work out on holiday will love the air conditioned gym, aerobics studio, dance classes and Pilates and yoga. There is also a sports bar, mini golf and Spa offering a wide range of beauty treatments. Toddlers will also love the playground. Families stay in 1 and 2 bedroom villas on an All Inclusive basis. The apartments are really well equipped with coffee making facilities (1 bedroom villas have a Nespresso coffee machine with capsules stocked on arrival), washing machine, dishwasher and a fridge freezer so you can prepare your own meals. 2 bedroom villas have 2 floors and a rooftop terrace. Please note the kids club is for children aged 4+. Good For – Families wanting excellent facilities and to stay in a villa type complex. This 5* hotel comes highly recommended due to its beachfront location and spacious rooms. There is an outdoor heated children’s swimming pool with sprinklers and fountains, an indoor swimming pool and playground. Self-catering, half board, half board plus and All Inclusive board basis’ are available. The buffet restaurant has plenty of choice for the whole family including fresh fish, steaks and even a chocolate fountain! Choose from pancakes, toasties, meats and cheeses at breakfast. Family rooms with garden views are available. The hotel is only 20 mins from the airport. Good For – Families wanting a bit of luxury. The Hesperides Spa has a Thalasso hydro pool, Roman bath, ice pool, foot spa, sauna, steam room and Turkish bath. 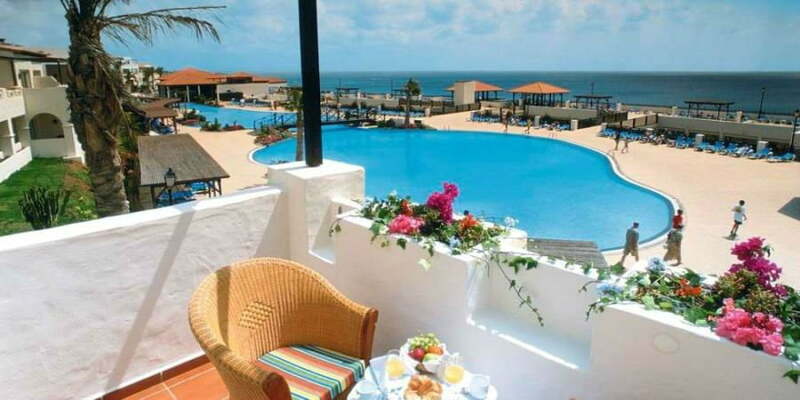 This smart all-inclusive hotel has 7 outdoor swimming pools, and is also close to the beach. There are 2 children’s swimming pools and a playground with swings and seesaws. There are more than 10 bars and restaurants at this hotel, and the Gaudi restaurant is particularly good for families as it is located on the terrace and has highchairs, microwaves, kids menu and kids buffet available. There is a complimentary bus to Grandes Playas beach and sand dunes. Parents can relax at the hotel spa which offers treatments. 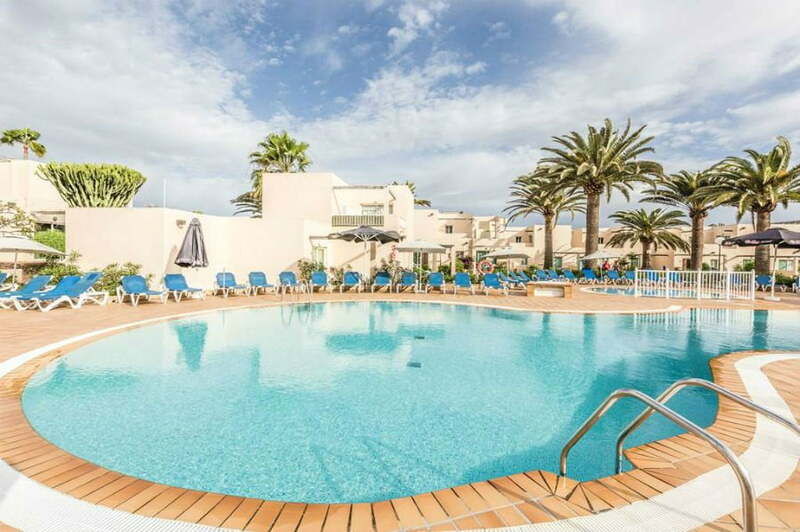 These low level apartments are a short walk from the beach and are perfectly located in the centre of Costa Caleta. 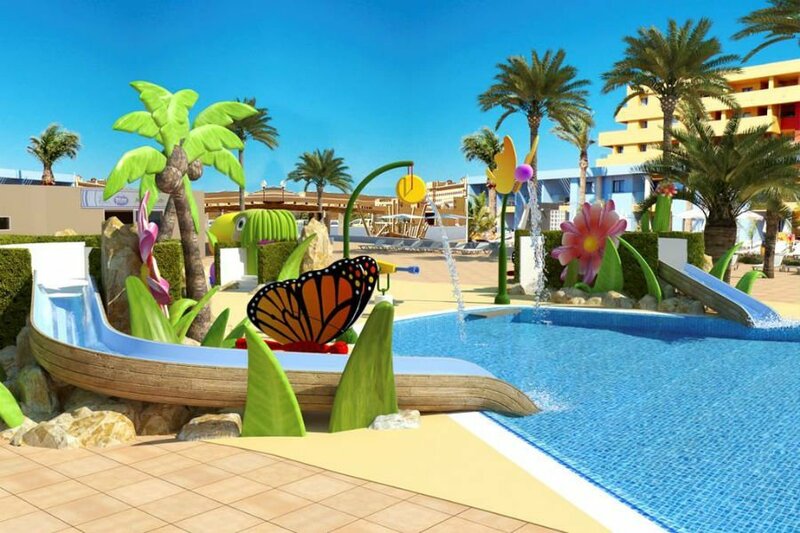 There is a children’s swimming pool, playground and daily entertainment. 2 bedroom apartments are available with cooking rings, coffee making facilities, a fridge, kettle, microwave and toaster. The H10 Ocean Suites are ideally situated for a relaxing beach holiday with easy access to the beach and close to lots of lovely restaurants, bars and shops. All the rooms are suites which are big, clean and well equipped. 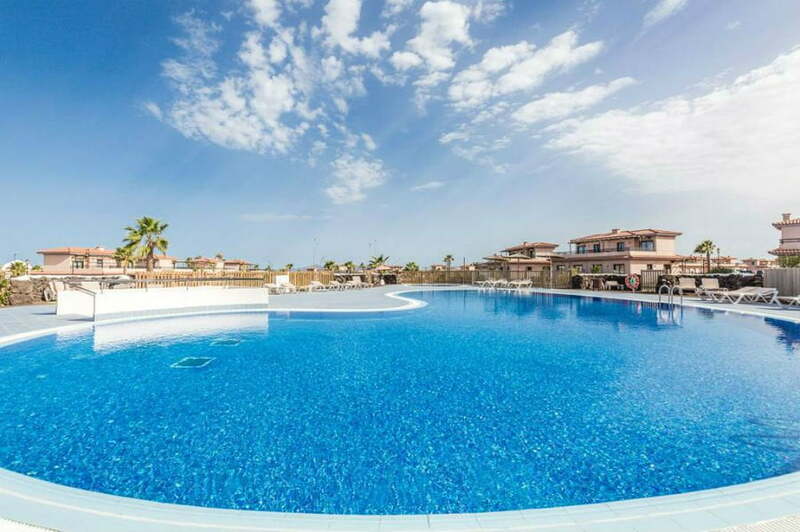 Toddler will love the outdoor swimming pool and being able to choose between the beach and the pool. The Kids Club is for children aged 4+. Good For – Families wanting somewhere relaxing but off the main strip! 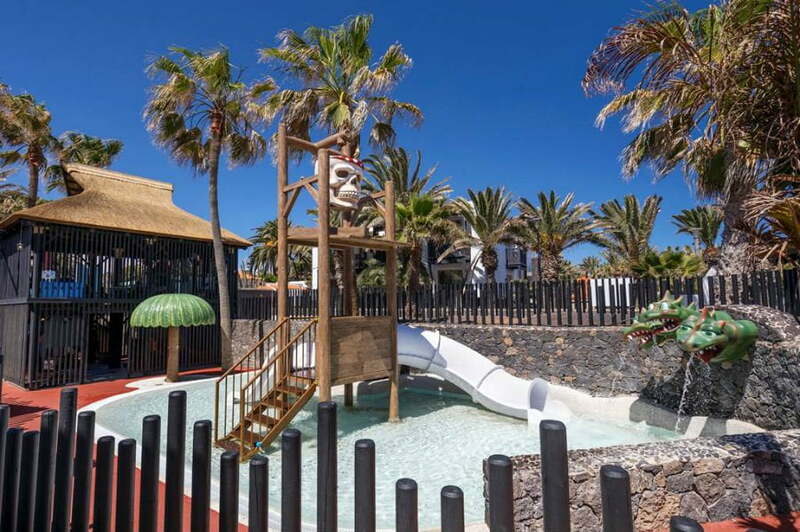 The Oasis Papagayo hotel is a great hotel for families with toddlers. 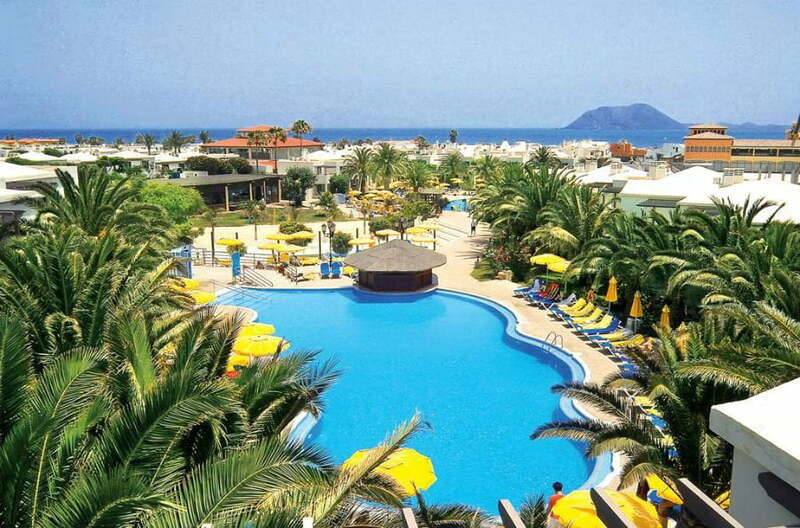 The hotel has a relaxed atmosphere with an Olympic sized swimming pool, plenty of sunbeds and well maintained gardens. 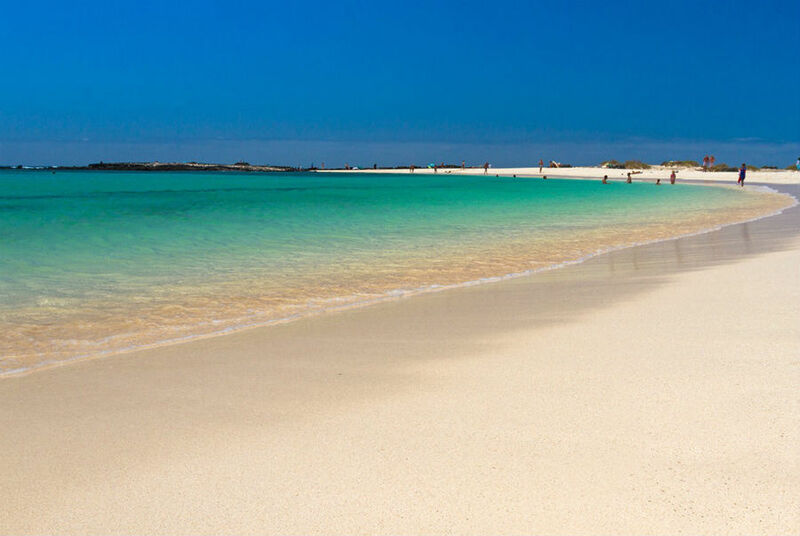 It is aprox 30 mins walk from the centre of Corralejo which has shops, a beach and a harbour. It is also near to a water park. There is a great shallow pool for toddlers, and the large pool is shallow at one end with a gentle bank leading to the deeper section. Floats and toys can be used in the shallow areas. The pool is surrounded by a snack bar which serves pizzas, hot dogs, burgers, chips etc. The hotel also has a bowling alley on site, and all guests get a free game voucher upon check in. The rooms are a good size and clean. They also have basic kitchen facilities such as a microwave, toaster, kettle and fridge. Two bedroom apartments are available. This hotel is a good choice if you are wanting to stay somewhere quiet and peaceful. 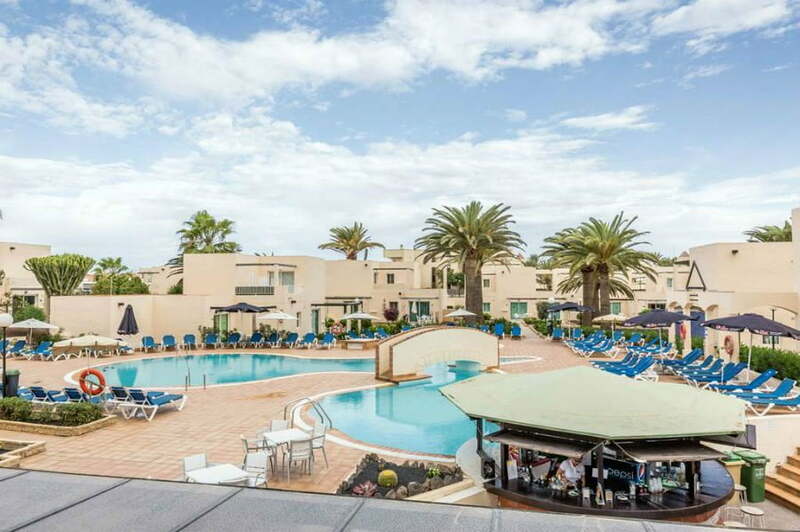 It is located close to the sandy beach and Corralejo resort and is a laid back complex with recently renovated apartments. 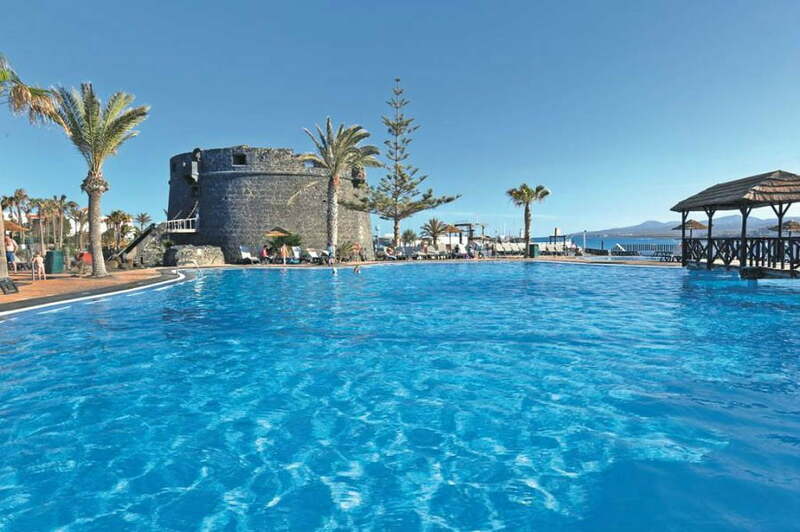 There is a relaxed pool area with a children’s pool, and activities going on during the day. There isn’t any children’s entertainment on a night, but this might not be a problem if you are looking for a relaxed stay. The apartments are basic but fully equipped with everything you need. 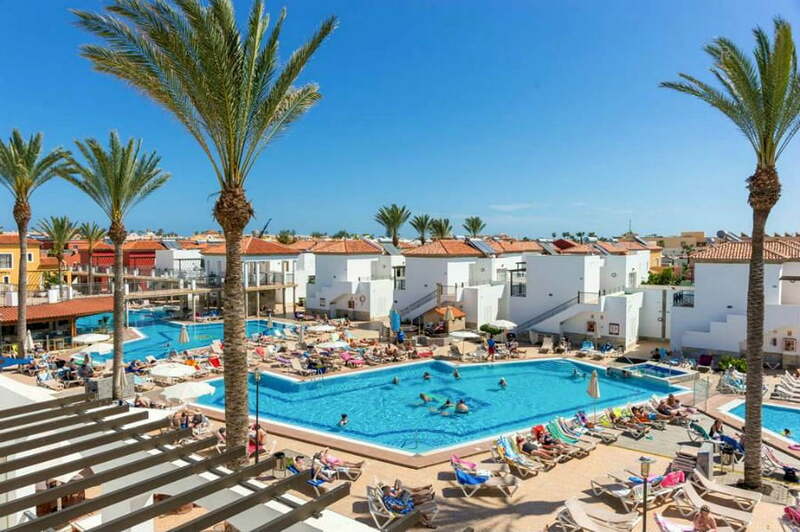 All Inclusive is available and guests dine next door at the Labranda Correlejo Village. The Labranda is in a great location – close to the shops and bars on Main Street and a 5 minute walk to Waikiki Beach. Good For – Families looking for a quiet place to stay. 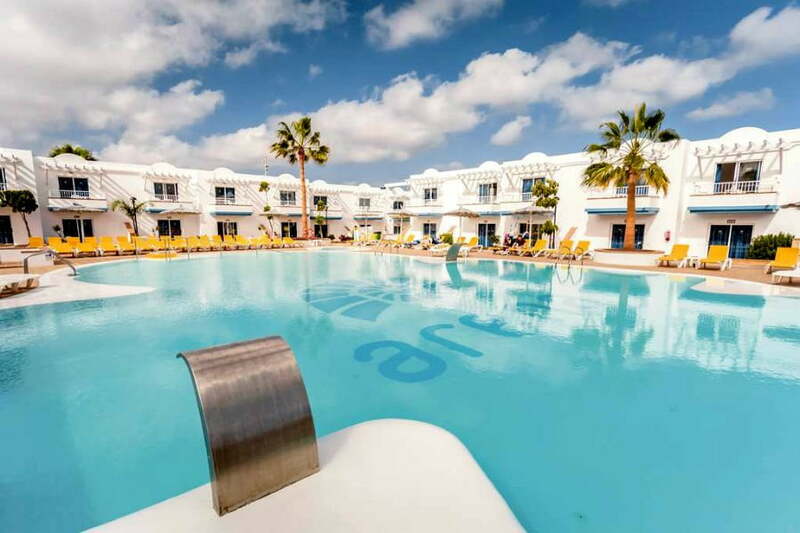 The Arena Beach is a friendly complex close to the main resort of Corralejo and to the El Campanario shopping centre. There is a children’s splash pool with jets and fountains, and a separate children’s pool. Toddlers will also love the playground with the swings, slides and adventure play area. The apartments are really well equipped, and some even have a washing machine!! Guests can cater themselves or take advantage of the All Inclusive option. There is entertainment at the complex during the day, and a mini disco in the evening. Don’t miss a trip to the 7 mile Grande Beach and sand dunes. 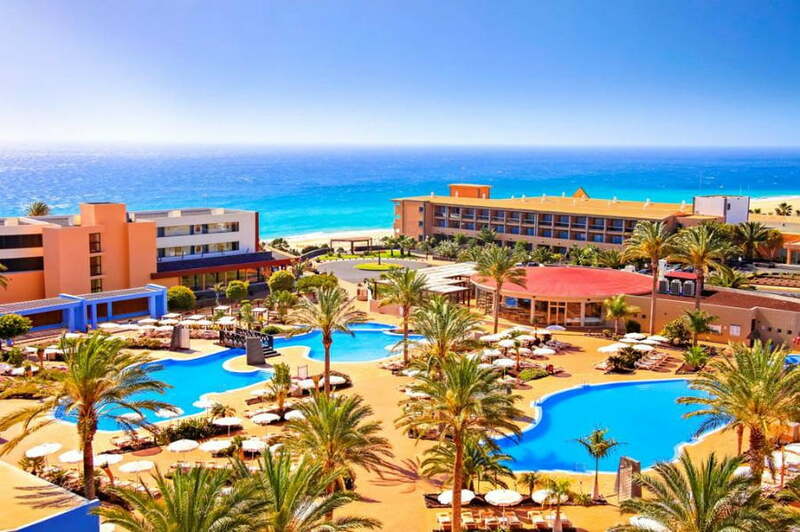 The Iberostar Playa Gaviotas Park has got direct access to the golden sands of Playa De Jandia beach. It is located next to its sister hotel of the Iberostar Playa Gaviotas so guests can use the facilities of both hotels. Toddlers will love the Aquafun splash park, 2 swimming pools and bowling alley. Parents will love relaxing in the Spa and Wellness centre. All-inclusive is available. This chilled out hotel is great for babies and toddlers. 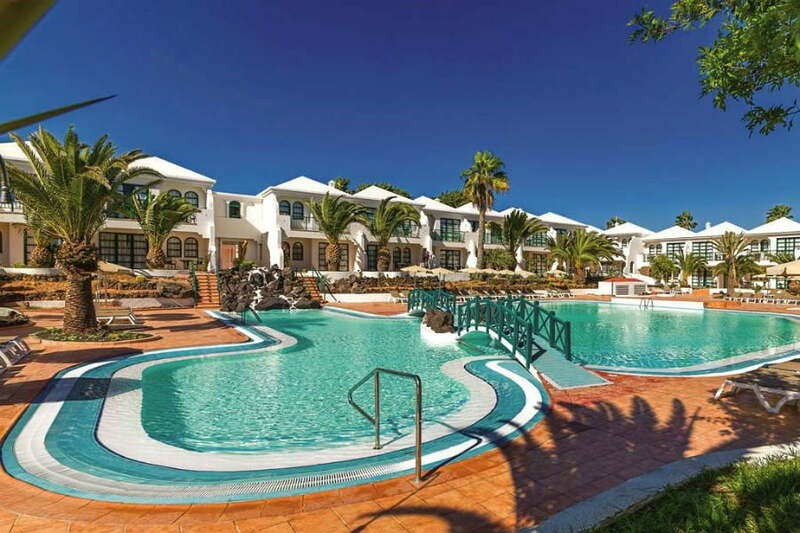 Accommodation is in villa style apartments – some of which overlook the gardens and the pools. 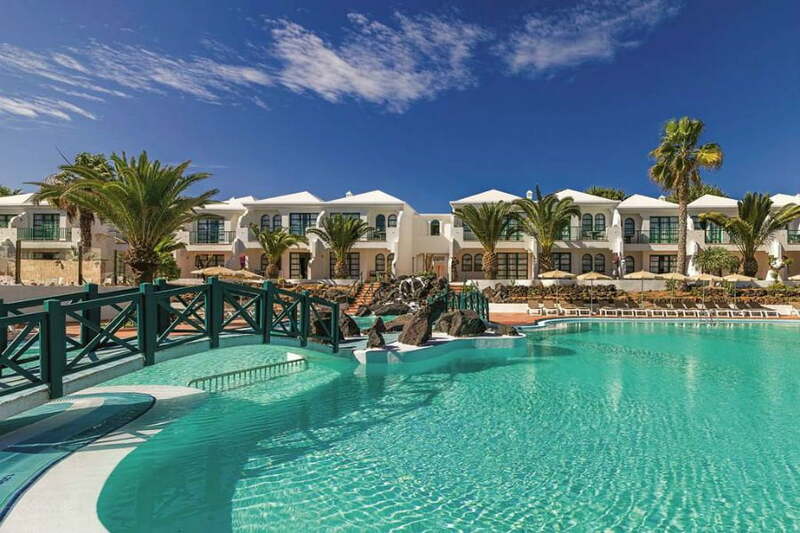 The TUI Magic Life has excellent food including the very popular 24 hour All Inclusive option. The Pool Bar is very popular with families as it has a constant supply of pizzas, toasties, pasta, burgers and ice cream. There are 5 outdoor swimming pools including a Splash Park. There is a small children’s play area too. Parents wanting to keep fit whilst on holiday can take their pick from one of the enormous range of exercise classes on offer. The beach is a short walk away down some steep steps. There is a kids club for children aged 3-6 where little ones can play games and take part in shows. The fishing villages of Jandia and Morro Jable are just a short walk away, where there is a small turtle sanctuary. Oasis Zoo is also nearby. Good For – families looking for a reasonably priced, good quality all-inclusive hotel near to a beach.